I wanted to showcase a different type of work that I do. If I’m not designing my own surface patterns I do some work for Angus Council Education Development Service creating and delivering project for schools. One of the projects I worked on was Wee Wellie Wander, I worked in partnership with Angus Council Ranger Service at Crombie Country Park to develop a Learning Resource to support teachers and early years practitioners to engage very young children creatively in using the park as a stimulus to looking, exploring, listening, talking, making and doing. 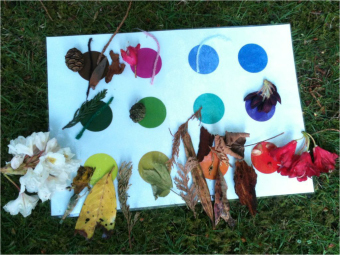 I created a colourful self-led teacher pack includes includes images and descriptors for a variety of rich and creative learning activities using simple tools and natural materials. 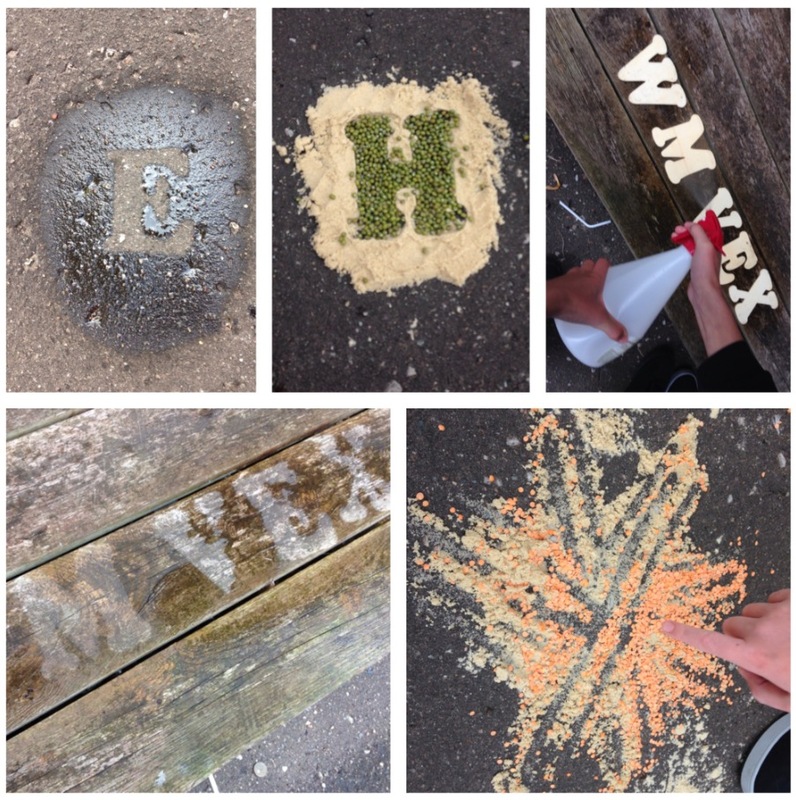 I loved doing this project as it really matched my passion for the great outdoors and being playful and creative. It was great coming up with ideas and taking the ideas to final pack where I’ve seen children enjoying taking part and asking interesting questions and seeing their learning and curiosity. I also brought on artist Astrid Leeson to bounce ideas and have a few creative days in the park coming up with ideas. It was great to feel like a big kid and come up with things others would enjoy doing and discovering. Park Ranger Lisa King was a wonder to work with, as she’s is so passionate about the park, open to ideas, very proactive and practical. 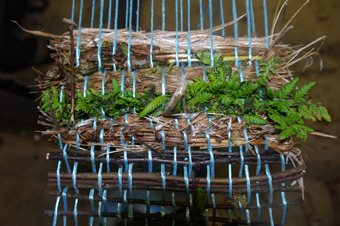 I wanted to do some sort of weaving using natural materials, so we chose the best spot and she made a frame by the time I came the next week – you might see it if you’re in the park (look out for the Magic Spot), feel free to add to the natural cloth! With my own work I’m fascinated with colour, pattern, mark making and I wanted to bring elements of my work came into the park. I used my bird stencils but instead of using paint as I do in my studio we used bird seeds to create pictures that repeat and also can play with symmetry and watching the birds eat them. 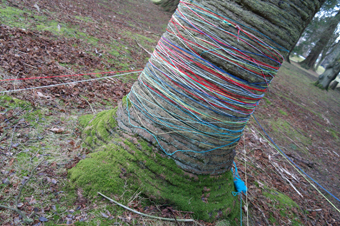 I’ve got a fascination with yarn bombing and I love moss growing up trees which I though looked like leg warmers so we decided to get lots of colourful balls of wool and wrap the trees. Other activities include recording markmaking and memory string that allows pupils to collect mementos from their day so they can revisit it. I highly recommend Crombie Country Park for a wander it’s one of my favourite places. 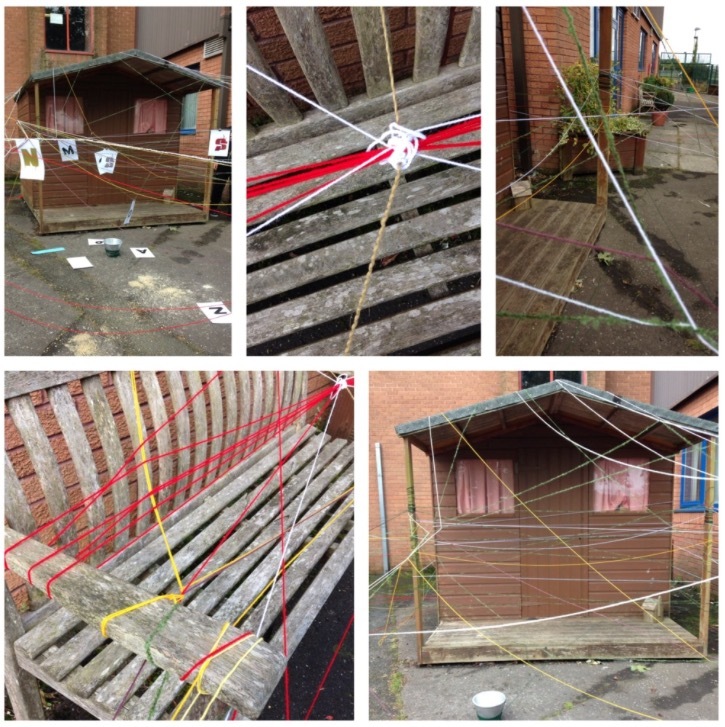 The project was funded by People Directorate – Arts and Cultural Education Team and Creative Scotland, Creative Learning Networks fund, developed with EDS Project Artist in Residence Louise Kirby. Louise Kirby designs retain the hand drawn qualities that add value and uniqueness.